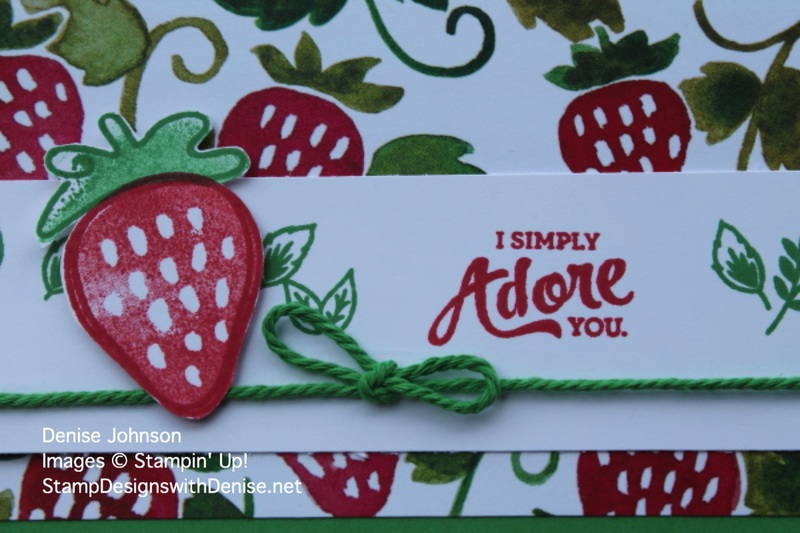 The border used on this card pairs nicely with the Affectionately Yours Designer Series Paper. 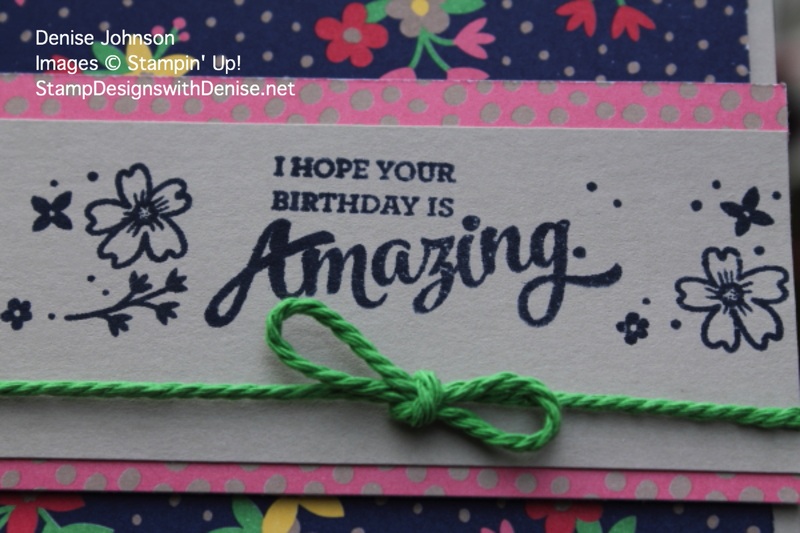 Fold and crease Crumb Cake card stock into card base. Attach the DSP mat to the card base. 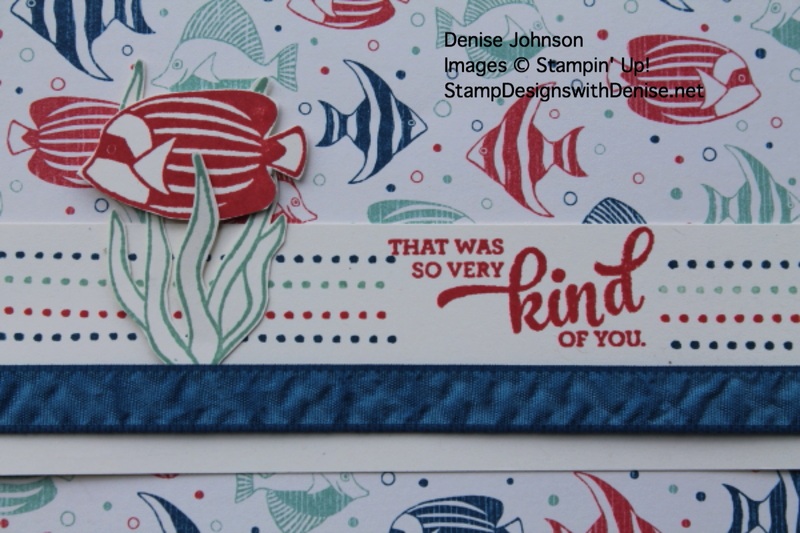 Stamp the border and sentiment in Night of Navy on the Crumb Cake strip. Tie the Baker’s Twine around the strip. 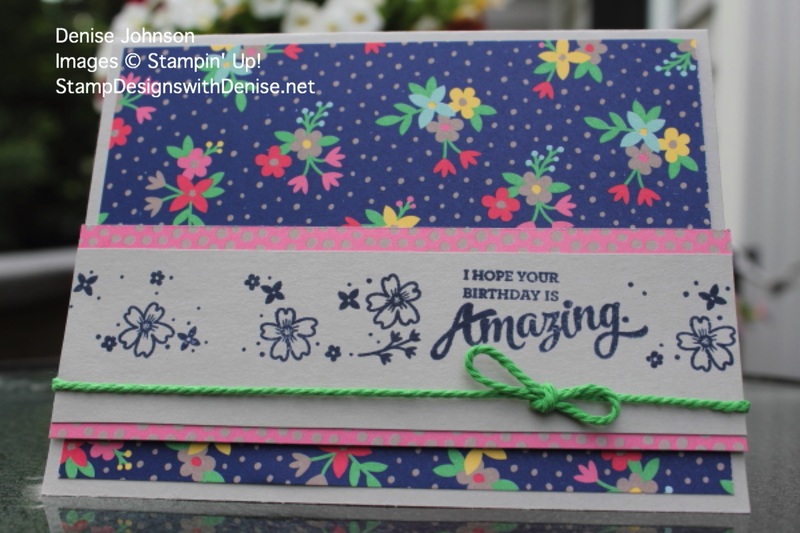 Attach the smaller DSP strips to either side and using dimensionals attach to the card base. 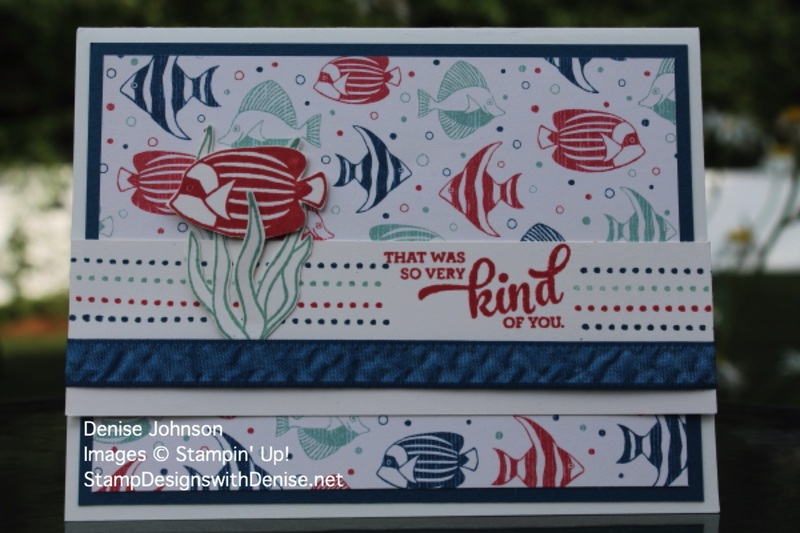 For this Seaside Shore card, I stamped the border 4 times in 3 colors. The fish and the sea grass were hand cut. For this border card. 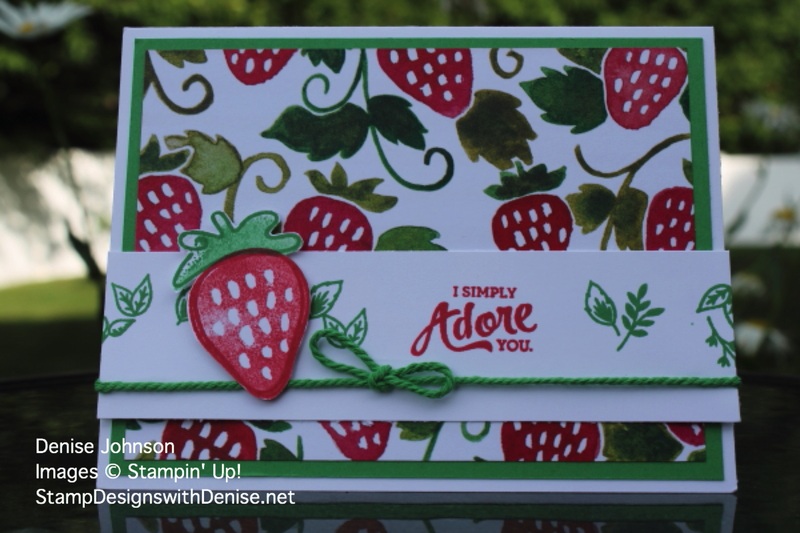 I used the Fresh Fruit stamp set and fussy cut out the strawberry to match the Fruit Stand DSP. 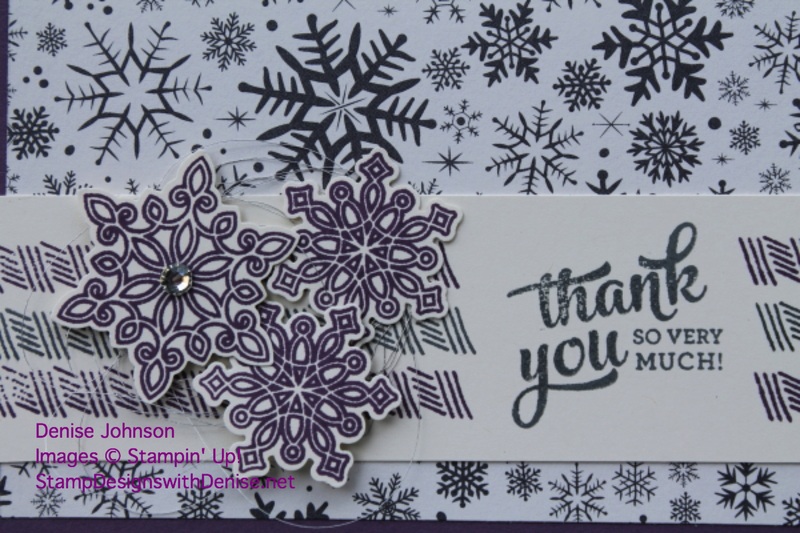 This last border card uses the new This Christmas DSP and the Snow Flurry Punch, which coordinates so nicely. I tussled the silver thread behind the snowflake punches (it is hard to see in the photo).